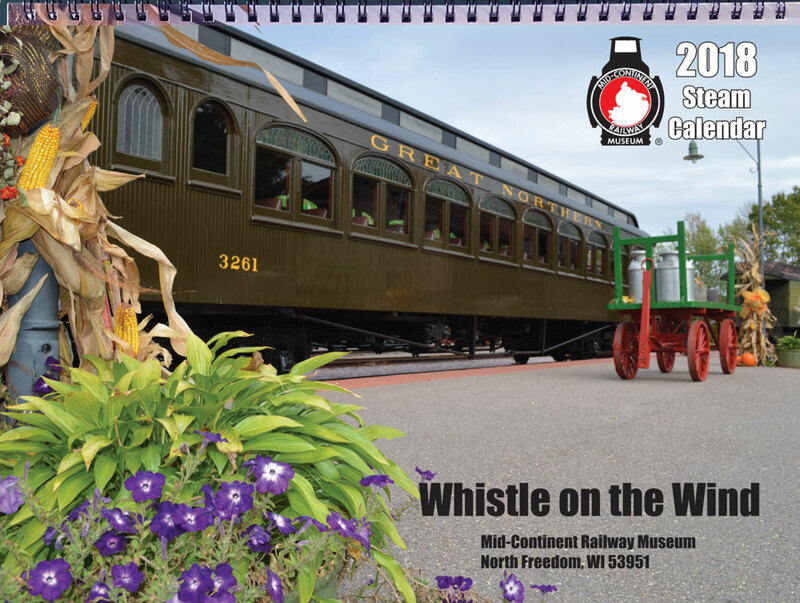 Mid-Continent Railway Museum’s “Whistle on the Wind” 2018 calendars are now available. 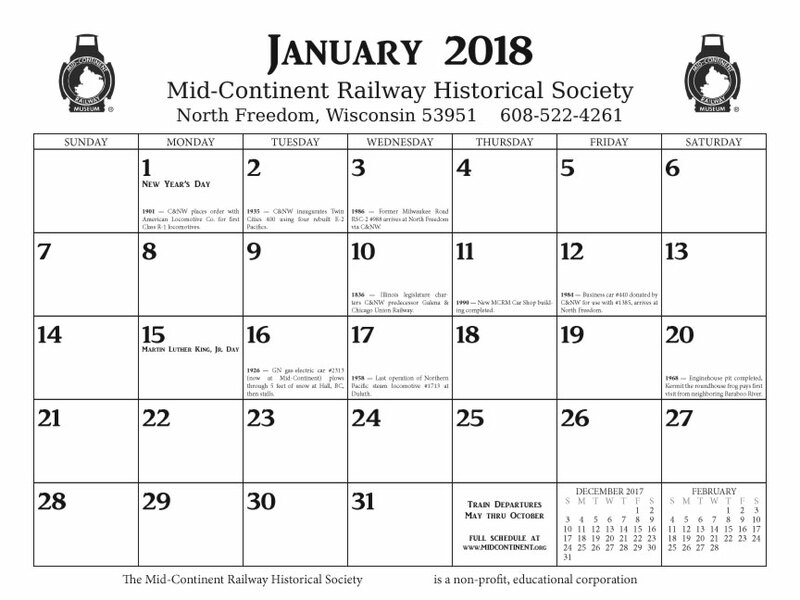 The calendar features five color and eight black & white high quality images. 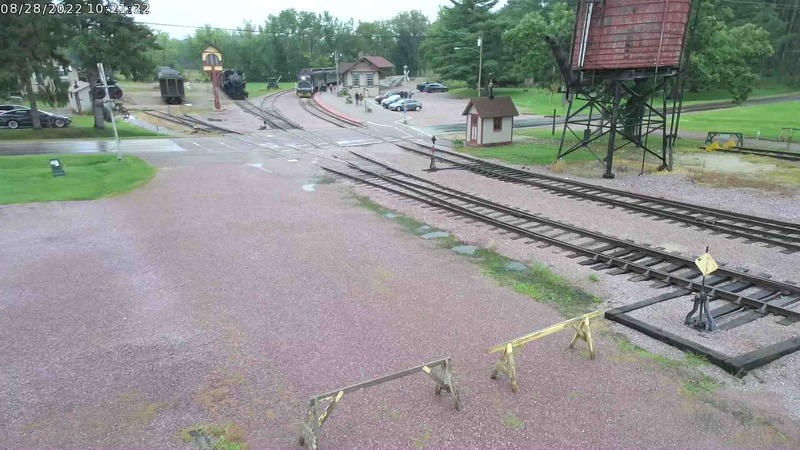 Images included are a mix of historical railroad imagery as well as more contemporary scenes from Mid-Continent Railway Museum. Many dates feature “this day in history” factoids about railroads of the Upper Midwest and Mid-Continent’s own history. Quality metal binding keeps the calendar flat against the wall. To arrive by December 25th, orders must be placed by December 18th. All orders are shipped via U.S. First Class mail. 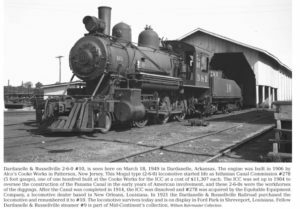 Mid-Continent Railway Historical Society members receive one copy free as part of their membership benefits. 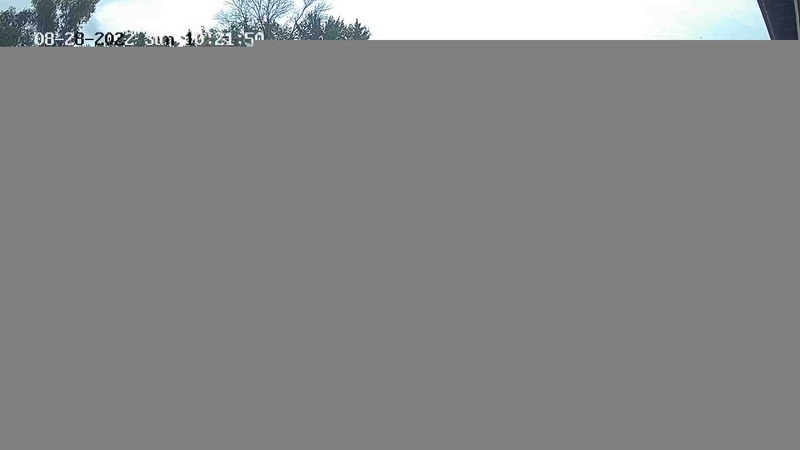 Members also receive discounted pricing when ordering additional calendars. *Price shown is for shipping calendars to a single US address. 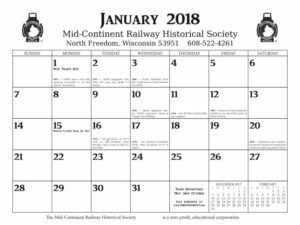 To order your calendar, call the Mid-Continent office Monday-Friday 9 AM to 4 PM at (608) 522-4261 or toll free (800) 930-1385. You can also order online using Paypal (Paypal account not required). Select the appropriate button below to begin. Online ordering of this product is no longer available.